The Shadrock Music Festival on Brown’s Island | Night and Day | Style Weekly - Richmond, VA local news, arts, and events. Style Weekly celebrates its 30th anniversary by throwing one huge party on Brown’s Island. It’s an all-day music event featuring eight stellar bands — four national and four based in Virginia. The headliners are two veteran alternative acts with records of long-term achievement in their chosen musical genres: Yo La Tengo, which has been called the indie-rock band of choice by fans and critics (pictured), and hip-hop legends De La Soul. Also performing are the Dum Dum Girls, led by striking frontwoman Dee Dee Penny, and catching mainstream attention for their dream pop hooks. The Seattle-based hip-hop duo Shabazz Palaces also are on the bill — their “Black Up” release on Subpop ended up on numerous Best of 2011 critics’ lists. But Shadrock will showcase local and regional bands too. Charlottesville’s Invisible Hand, the bass-heavy Kid Is Qual, reunited Richmond rockers Kepone and local hip-hop powerhouse Photosynthesizers all are on tap. 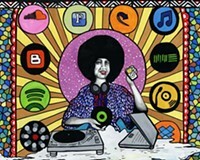 In-between the day of live performances, DJ Mass FX and the Scorpio Brothers will spin tunes. The Shadrock Music Festival will be a happening, and it’ll happen Saturday, April 28, from noon-11 p.m. on Brown’s Island. $35-$100. 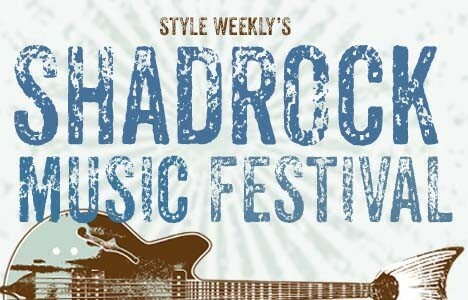 www.shadrockmusicfest.com. Retro beats, bands on the rise, free music and the Virginia sounds of our first Shadrock Music Festival.